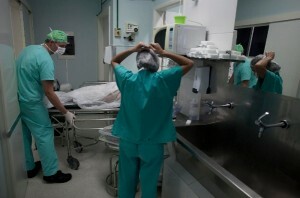 The Brazilian Ministry of Health says the country will allocate more resources to public healthcare in coming years. There will be more clinics and hospitals and about 35,000 new doctors will be hired by 2015 to work in these medical units. In addition, some 12,000 medical residency vacancies will be available at public hospitals over the next four years. “Our goal is to provide at least one residency vacancy for every medical graduate in Brazil by 2018,” said Mozart Sales, management secretary of the ministry. The move, however, has seen objections by organisations representing Brazilian medical practitioners. In addition, the ministry announced an annual investment of 80 million reals ($36.36 million) for the expansion of residency programmes, 20 million reals ($9.09 million) to carry out infrastructure renovations at teaching facilities and 60 million reals ($27.27) to maintain existing residency programmes. The announcement comes after two weeks of protests in Brazil calling for better public services. Improving Brazil’s healthcare system requires action on several fronts, Health Minister Alexandre Padilha said. He reaffirmed the government’s plan to hire foreign doctors, especially those from Portugal, Spain and Cuba, to meet the dire need for physicians in the country.